Ok, let's move onto this scene. You've been waiting for your bank balance to grow until you can afford another addition to your neofamily, or you never really thought about making room in your heart and home for another pet. Or you could be a newbie, anxiously standing in line to witness your first pet's entering into the world and waiting for it to fix those big baby eyes on you and say "Mama!" Either way, you're on your way to get another pet. However, as the queue grows shorter, you anxiously search for that little slip of paper you tucked into your back pocket earlier... wait, where is it?! Alarmed, you frantically empty your backpack onto the cobblestone path, mumbling apologies to the passing (and annoyed) shoppers stepping over the mess, crushing your last packet of Neocrisps. "Hey! Was that really necessary?" you shout at them. "I mean, come on!!" Finally you give up. You must have dropped it somewhere. Devastated, you resume your place in line and hope for the best. The green Cybunny stares at you, looking you over and taking every detail in. Just as you were about to start fretting, she turns to a stack of papers and waits, her pen poised in midair. "Name?" she asks. You quickly give her your name. After she asks you a couple more questions, more or less regarding your living conditions, she takes out a long list. "Type of species? Before ye even ask, there aren't any more of them limited editions left, so if that's what you're here for, go check the pound." Oh no, you reassure her. You're here for a pet just as special as any LE ever could be. "Good job on you for taking one of 'em! No many people want birds nowadays, a darn shame I tell you... a darn shame! Them Lennies, they make lovely companions! Why, my eldest sister was a faerie Lenny and she... " and she babbles on. "Name?" she asks. You frown, and give her your name. Hasn't she asked this before? "I meant yer new pet's name." You become the public-backpack-emptying wreck once again. Nervously, your hand snakes to your pockets, confirming the fact that you did indeed lose the precious piece of paper. "I can't remember the name, I mean, I wrote it down... b-but then, well, err... I lost it," you mutter, avoiding the Cybunny's gaze. She looks at you with a look of utter disgust and you feel like you can tell what she's thinking. 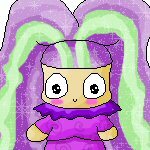 The worst owner-to-be in Neopia. How about Songbird? you suggest. Taken, she grunts while filing her nails. "Any other name ideas, smarty? Or should I spin the ol' Randomiser?" A quick glance behind you shows the disgruntled line getting more impatient by the minute. "Can't you help me?" you ask the Cybunny. "Do I look like I have name-o-matic stamped on me fur? I don't think so, buster. Now, decide on a name, one that isn't already taken, or get yer behind out of line." After wracking your brains for all they're worth, you give up. You gesture to her, unable to say the words aloud. "Congratulations! Songbird_567_birdy_birdbird the yellow Lenny has been born." With that, she hands you a basket. In it, a small yellow Lenny looks up at you, and squawks: "Mama!" However... the moment isn't all you thought it would be. You, the reader, might ask "Why? Isn't she happy she finally got her new addition?" Some of you might even exclaim that there is nothing wrong with her pet's name. Frankly there is, and that, dear reader, we're getting to in a moment. The weeks fly by, figuratively and literally, as your new Lenny begins to discover his wings actually HAVE a purpose. Soon, your youngest is not so young anymore, and is finally old enough to be enrolled in Neoschool. The precious first day of school comes and goes, and some time later, you find your pet in tears, lying in a crumpled pile of feathers and blankets on his bed. "Songbird_567_birdy_birdbird? Is Songbird_567_birdy_birdbird here today?" "Yes ma'am," a small voice squeaks embarrassedly from the back of the classroom. See what I mean, dear reader? However, I am not suggesting that there is anything wrong with, say, "expanded" names, but how would you like it if your parents named YOU Jane567janeyjaney_jane on your birth certificate? Would you honestly like it if your teacher called out "red_olgababyboo8" every time she does the roll? Or even worse, having your friends come by and ask to see 7Ingrid79, and not being able to just call you Ingrid because your sisters all have the name Ingrid, just with different number combinations? Don't do your pets the injustice of giving them all the same name! They are all different, and all unique and special in their very own way. And don't do your pets the injustice of misnaming them! They deserve a real name, one they can be proud of and one they can delight in when friends marvel over the beauty of it. Well then, you probably want to hear how this tale ends? I have an important meeting soon, so I'll just sum it up. Pets like that end up in the pound. Rather ask for help when having trouble finding a suitable and available name for a pet. Countless Neopians are devoting their time to helping others find innovative and creative new names for pets-to-be. Where you can find such Neopians, you may ask? I know of a few planted at the Help Board, and a couple more rooted firmly into the soft pixels of Fan Clubs board. Or, you could even send me some express Neomail, I have a little black book tucked away somewhere overflowing with beautiful unused names you might like. So please, dear reader, I ask of you, I URGE you, to put a considerable amount of time into thinking up an original and beautiful name for your pet. Each and every one of you out there has a name, one that was chosen with care and probably with a reason behind it, and your name is YOU. You wouldn't want somebody to compromise your individuality, so why compromise your pets'?